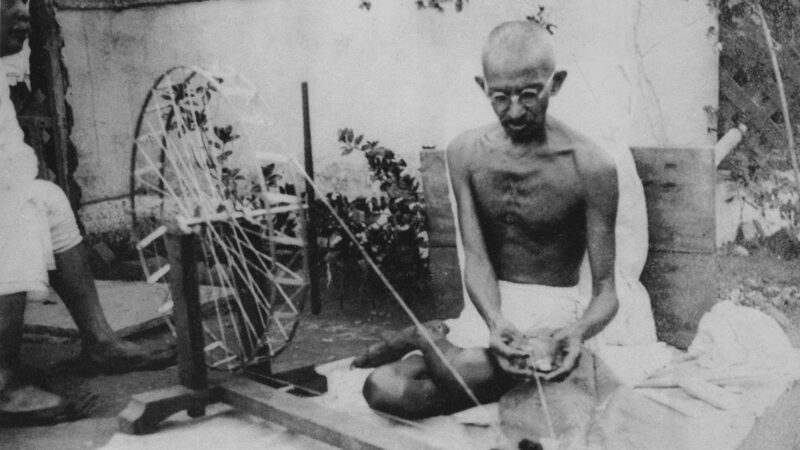 Gandhi’s principle of Simplicity was anti-capitalist. He encouraged his followers to stop buying western-style clothes and make their own. The spinning wheel on the Indian flag is a reminder of this socialist principle. This post looks at the astrology of assassination. I have looked at the transits to the Mohandas Gandhi Horoscope from the assassination and the conjunctions to natal planets explain his life very well. Because Gandhi was 78 years old when he was assassinated, using precession correction becomes critical when looking at the transits. I always use this method for my astrology because I see the the fixed stars as the backdrop to the natal planets, not the zodiac signs. What was triggered most of all was the T-square in his natal chart with Moon the focal point, Moon square Mars and Moon square Pluto. The Moon is public and the night, he was shot while having his nightly public walk. Mars rules firearms and shooting, and Pluto is the Lord of death. The first quarter Moon triggered the natal Descendant which rules open enemies, he was assassinated by a member of an Hindu nationalist group who openly opposed Gandhi’s policies toward Pakistan. The other conjunction by transit was the event Ascendant on natal North Node, the karmic path I guess which was always destined. These conjunctions by transit highlighted all but one of the major fixed stars in the natal horoscope, which was Sun conjunct Porrima, named after the Roman Goddess of Prophesy. The most striking aspect by transit was natal Mars hit by the preceding solar eclipse and the South Lunar Node. These were all conjunct the fixed star Zubeneschamali, In good position, the star will arouse, above all things, spiritual and mental forces. Credited with bestowing an immortal name. With Mars: High ambitions, success through energy, influential position, forceful writer and speaker. With Mars opposite Pluto, “You may feel picked on” [Robert Hand, Planets in Youth, p.240.] Well that’s just the story of his life! It also shows how his energy effected the masses (Pluto). Gandhi’s natal Moon was on the fixed star Ras Elased Borealis “an appreciation for language and a power of expression”. The square to both Mars and Pluto means he would always have felt compelled to speak out on behalf of the people. His Descendant was on Al Risha which marks the knot which binds the two fishes of constellation Pisces, each heading in different directions. Interesting that he wanted to unify the people of India, but the partition of Pakistan came out of it all, and was the reason he was assassinated. The rising star at the time of the shooting was the same as on his natal North Node, Asellus Borealis “care and responsibility, with a charitable and fostering nature, but danger of violent death….patience, beneficence and courage, and makes its natives heroic and defiant leaders”. The first Arabic Part of Assassination is Ascendant + 12th house cusp – Neptune. For Gandhi, this was 07ari02. For the date he died, precession correction makes this 08ari08. At 08lib08, exactly opposite when he was shot was the transiting Moon. In the assassination chart, this Arabic Part of Assassination was 00tau57, conjunct the Midheaven of 00tau44. These Arabic Parts involving house cusps only seem to show magic like this when using the Placidus house system. Based on the fixed stars, the transits and the Arabic Parts, it seems it was fated that Gandhi would be assassinated, always going to happen and someone had to do it. Each person has a role to play in the scheme of things. There is no date of birth available for the assassin, Nathuram Godse, but if there was I’m sure the fixed stars and transits would help explain why he was destined to play this role in history. At 78 years of age Gandhi had a good innings and like in many assassinations, the message he came to give lives on stronger as a result. “A man who was completely innocent, offered himself as a sacrifice for the good of others, including his enemies, and became the ransom of the world. It was a perfect act.” Mohandas Gandhi. a superb post and I was indeed very pleased to read the blog post.